I used to be a fairly prolific writer for jewelry-making publications. 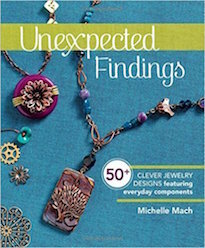 When we opened the shop, I took an "unofficial" sabbatical from designing projects for books and magazines. There simply weren't enough hours in the day. Even though I cut back drastically, I still managed to squeeze two contributions under my belt for 2013 so far. 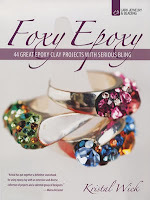 I created three original designs (and a few variations for some of the projects) using two-part epoxy clay for Kristal Wick's new book, "Foxy Epoxy". My pieces are featured amongst a menagerie of beautiful wearable art by some of the industry's most innovative designers. 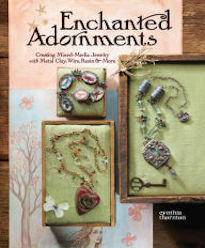 I had a lot of fun and think the book turned out wonderfully. 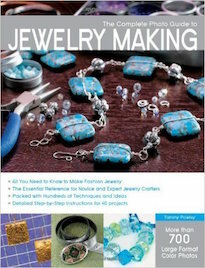 CLICK HERE to find out more about the book! 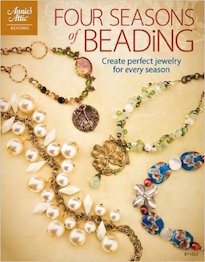 The next book features a project that I originally created for BeadStyle magazine. 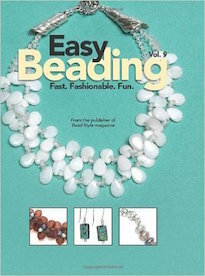 They reprinted the project in a book called, "Easy Beading: Volume 9". 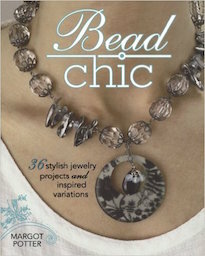 The necklace is called, "Twilight Necklace" and is a multi-strand piece dripping with different kinds of pearls. It also features a beautiful metal clay focal by Gail Crosman Moore. 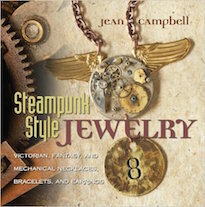 CLICK HERE to check out the book. Hope this means we'll see more of you in the future in magazines, etc.